Richard Burr’s Supreme Court comments make the GOP’s plan clear. 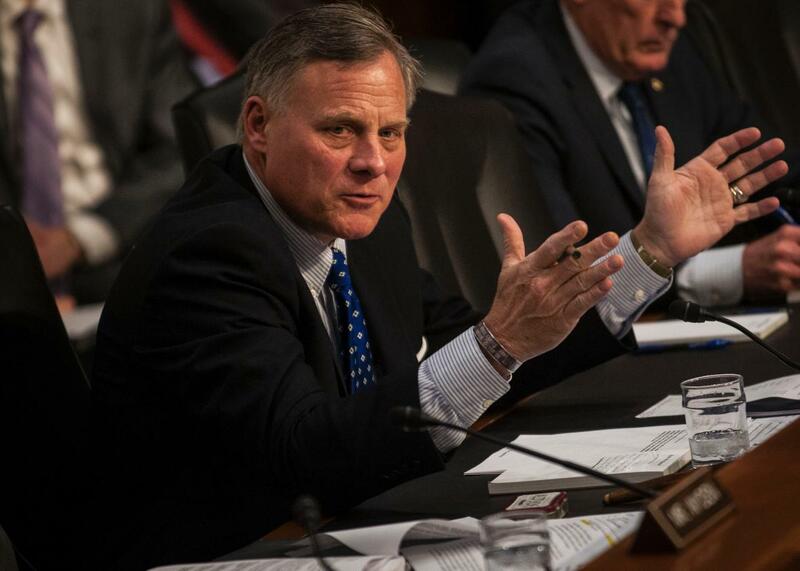 Sen. Richard Burr speaks during the Senate Intelligence Committee hearing at the Hart Senate Building on Feb. 9. North Carolina Sen. Richard Burr got in trouble for making a gun-related joke about Hillary Clinton on Monday, and he later apologized for it. But that was not the most newsworthy thing Burr said. The most newsworthy thing he said at this supposedly private event, where he was speaking to GOP volunteers, was buried near the end of CNN’s report, when Burr was talking about the Supreme Court. And if Hillary Clinton becomes president, I am going to do everything I can do to make sure four years from now, we still got an opening on the Supreme Court. What he meant to say, I guess, is that the seat should not be filled until there is a new Republican president. Burr is not the first to hint that the Senate’s obstruction would continue into and through a Clinton administration, but he’s not really hinting, either: He explicitly said that’s the game plan. Sen. John McCain a few weeks ago told a radio host, “I promise you that we will be united against any Supreme Court nominee that Hillary Clinton, if she were president, would put up.” This one we could generously chalk up to McCain being in re-election mode and saying what he believes a Republican base voter would want to hear; once exposed, he walked it back. Sen. Ted Cruz mused recently about how the Supreme Court maybe doesn’t need a ninth justice; this we can chalk up to Ted Cruz being Ted Cruz, whose views aren’t representative of the Senate Republican leadership. Richard Burr is not a crazy. He’s the head of the Senate Intelligence Committee who’s otherwise on the Hill just to do whatever North Carolina corporations ask him to do. If this is what he’s saying, and he means it, then that’s probably the consensus view of the Senate Republican caucus. This is a big deal. One would like to think that Senate Democrats could make their Republican counterparts cave by forcing them to own their glaring shift of the goalposts in the next Congress. The safer bet for Democrats, though, would be to just win back the Senate.